We supply both the VGA and the DVI leads plus a UK mains lead. Grade A - Good condition, no noticeable marks on the screen, may have a dead pixel (as might a new screen) may have minor cosmetic marks on the casing. Good working order. Overall will be in good condition but may show some signs of use. Grade B - Reasonable condition, may have noticeable marks on the screen such as pressure points, scratches or groups of dead pixels. Casing may have cosmetic marks. Good working order. Overall perfectly usable but not in perfect condition. Grade C - Poor condition, may have lines down the screen, deep scratches or other faults - but still usable (we use Grade C screens around the workshop for example). Overall poor condition but still usable. 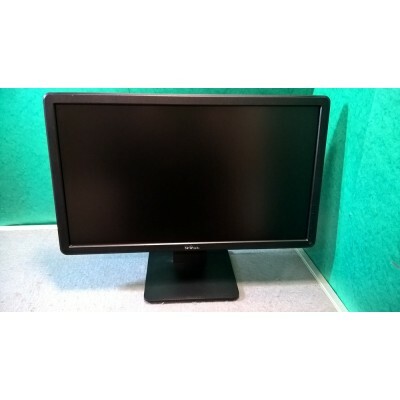 We fully test and grade each monitor prior to dispatch. You can upgrade to 24hr delivery for only £1.99. We are also unable to deliver to the following postcodes:PH19-44;PH48-50;IV;KW;PA20-88;ZE;KA27-28 and HS. *We will post the item within 1 working day. For example, if you buy on a Friday after 1pm, Saturday or Sunday we will post on a Monday (unless it is a bank holiday and then we will post on a Tuesday) Buy on any other day and we aim to get the item out the same day if purchased before 1pm, otherwise it will be sent next business day. If paying by Paypal, the item MUST be delivered to the address on the Paypal account. You are welcome to view/buy/collect from our showroom just outside Bolton town centre. We have 100's of flat screens in stock sizes from 15" upwards starting from £15!